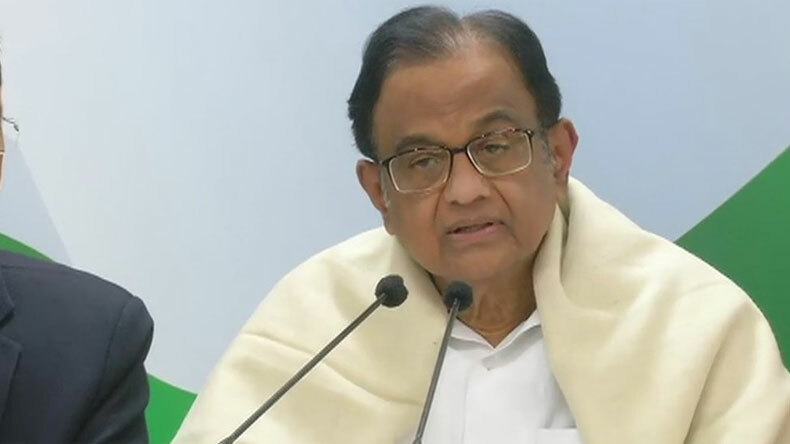 Interim Budget 2019: Former Finance Minister Chidambaram asserted that the Acting finance minister has tested our patience by the longest interim budget speech in the history. He added that it was a more of a full-fledged budget accompanied by an election campaign speech rather than an interim budget. Interim Budget 2019: Former Finance Minister P Chidambaram on Friday termed the Interim Budget presented by Piyush Goyal in the parliament as an account for votes and not a vote on account. Taking to his Twitter handle, the former FM thanked the interim finance minister for copying the Congress’ declaration that the poor have the first right to the resources of the country. Chidambaram asserted that the Acting finance minister has tested our patience by the longest interim budget speech in the history. He added that it was a more of a full-fledged budget accompanied by an election campaign speech rather than an interim budget. Apart from Chidambaram, several other Congress leaders have also criticised the interim budget presented by Goyal on behalf of the Prime Minister-led central government. Former Prime Minister Manmohan Singh criticised the Budget 2019 saying that the concessions offered to farmers and middle class will obviously have implications in the forthcoming elections. Senior Congress leader Shashi Tharoor also criticised the budget saying that Rs 6,000 income support to farmers will not help farmers to live with honour and dignity. Earlier in the day, the BJP presented its last budget before the upcoming elections. While the BJP is continuously referring to the budget as a budget for farmers, middle class and labourers, the Opposition has termed it like salt on farmers’ wounds. Meanwhile, the BJP is continuously referring to the Budget 2019 as a step towards achieving the dream of a New India. Prime Minister Narendra Modi also announced that the budget is an Interim Budget. This is just a trailer of the budget which, after elections, will take India on the path to development, he added.